With the new year and Spring semester, I’m sure many of you have goals that you’d like to accomplish. Whether you’re working for better grades, trying to get into shape, or trying to eat healthier meals. The Manning School of Business also has a few things we’re trying to accomplish. Our department is rapidly growing, and we’d like to involve our students in any way possible! As the heading says, we have a new Facebook page! As most of you probably know by now, we are no longer the College of Management. 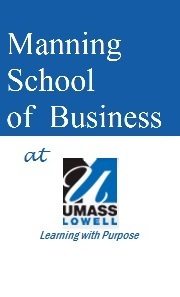 Due to the great amount of generosity of Robert Manning and his wife, we have changed our name to the “Manning School of Business.” Signs around campus and on the UML website have already been updated. The old College of Management page will NO LONGER be updated! The Manning School of Business truly cares about your education and your college experience. That is why we are currently making an effort to make the college life fun! As for the type of event we will hold, we are accepting all ideas. There is a poll on the Facebook page that will allow us to gather input from you. If you do NOT have a Facebook page, feel free to shoot me an e-mail! ( Matthew_lawson1@student.uml.edu ) You may also leave a comment on this blog entry. There are many other things I’d like to talk about, but I will mention them in following blog entries. Hope your first couple of weeks are going well! This entry was posted in Uncategorized by Matthew_Lawson1@student.uml.edu. Bookmark the permalink.